When Crytek’s Hunt was re-revealed shortly before E3, it was clearly a misty, murky, Victorian-era mood piece. But we weren’t quite sure how it’d play – it promised first-person PvP, but also monster hunting. Not so much into competition? Here are some outstanding co-op games. Now the game’s been shown to press, it’s starting to take shape through the fog. Hunt is part Evolve, part something else entirely. 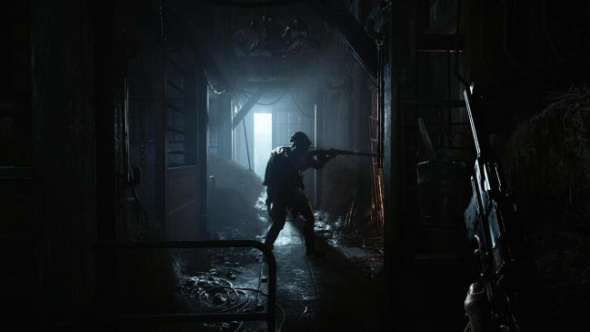 In Hunt: Showdown, five teams of two players will attempt to find and kill between one and three demons. They’ll be taking advantage of that thick fog, dodging monsters and other players until they can determine precisely where their targets are. From there, they’ll need to stage ambushes, winning bounties to level up their characters, before exfiltrating at the edge of the map. Although the goal is to take down AI enemies, there’s a strong element of competition: player teams can wrest their prizes from each other, so it’s a valid tactic to let others do the hard work before pouncing on them in turn. Patience and caution will be the order of the day, since killed hunters lose their weapons, equipment, and abilities – only a handful of passive ‘bloodline traits’ continue on to the next avatar. Playing Hunt will involve a careful toss-up of risk and reward, and seems just the sort of boost Crytek need after a difficult period, financially and creatively. Hunt: Showdown was originally in development at Crytek USA, before that studio was shut down and the game brought home to Crytek HQ in Frankfurt. It doesn’t have a release date yet, but Crytek are planning to send invites out to testers before launch.